Quiet simple but always pleasant. Enjoy an interesting book on a lounge chair listening to the birds of the valley. La Cance which runs along the property over hundred meters is a first class river. Trout anglers should remind to bring their fishing-rods and landing net ! From may to september, the renting of the cottage allows you to use our pleasant heated swimming pool (12x6 m) which is opened from 10 am to 1 pm and 3 pm to 7 pm. La Bannerie cottage sets near to la Forêt d'Ecouves, one of the most wide state forest in the Normandie-Maine Regional Park. With its variety of flora and fauna to explore, this protected environment is perfect to go for a hike/a ride. 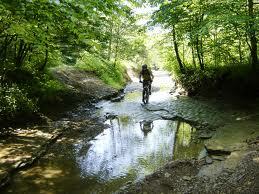 Bikes can be at your disposal to discover our beautiful woodland setting. We are located about 10 km from Argentan, in the Orne county of the Lower Normandy region, which is a horse stronghold. You can reach several stud farms and riding schools in 15 minutes. 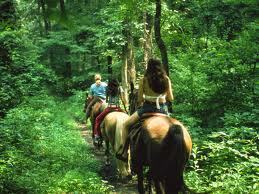 You may ride horses at les Ecuries de la Cour du Bois à VRIGNY (10 minutes by bike) or take lessons.